Big Mountain TPA first ascends with citrusy hops and follows with subtle notes of Earl Grey tea. A refreshing and smooth experience, this pale ale offers an enchanting combination of fresh aroma and light maltiness. The easy-going, yet bold flavor reflects the stirring excitement of a day on the mountain. 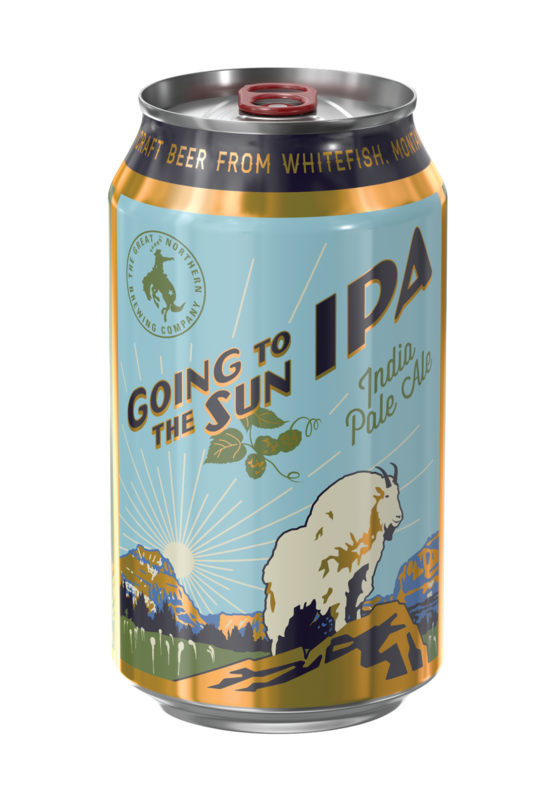 inspired by the picturesque Glacier National Park -- an unfiltered beer to enjoy an unfiltered view. Good Med Montana Red Ale rises to the majestic and spirited lifestyle of Northwest Montana. Created with the intent of celebrating the good things in life, Good Med prescribes a striking balance between malty sweetness and hoppy aromatics, to produce a mighty tasty brew straight from the mountains. Our signature Wild Huckleberry Lager starts with pure glacial water from Northwest Montana. Hand-picked mountain huckleberries, combined with the practice of cold fermenataion, yields a bright and clean body that pairs naturally with the sweet aromatics of this wild forest berry. wheatfish wheat lager combines the best aspects of three major types of beer; brewed like a german wheat beer and hopped with three separate additions of cascade hops as if it were an american ale. It is then cold-fermented and aged like a lager, the wheat contributes a full body and light spiciness. The hops offer citrus hints. Finishing crisp and smooth, wheatfish is low in bitterness and high in drinkability. Bluebird Day will brighten anyone’s day. Bluebird is brewed with a healthy amount of pale and caramel malt, and matched with tropical aromatic hops. Fermented as an ale, the finish is evident in alcohol and slight sweetness. An Indian Pale Ale that’s double the fun!